Last weekend, the Leadership Team shared breakfast with those in our Seniors Team. John Smith spoke about some of biblical values which underlie this ministry. Today, there are more people over 65 than under 18-olds in our nation. By 2020 number of retired people will grow from 11 to 15 million. 1 in 20 of the population will be over 80. Eight years ago Time magazine ran an article suggesting we may soon be living to 125!. The Bible is realistic about age. In the OT the very young and the old are not so valuable in economic terms to the hard life of a largely agricultural nation. Thus, in Leviticus 27, we have a list of the redemption price of those dedicated to the Lord’s service at the tabernacle: the value of a child under five is five shekels of silver, the value of a young person aged five to 20 years is 20 shekels of silver, the value of those in the prime of life from 20 to 60 years is 50 shekels of silver, and then it decreases to 15 shekels for those over 60. That is biblical realism. That family may well be the local fellowship of Christians. Respect of the elderly will not get better. Why? * Because of the scattered nature of our families. * Because the caring for the elderly is too often given to the most poorly paid. * Because the relentless pressure of the euthanasia lobby seeks to convince us that the elderly ill should no longer have the right to live. * Because a society driven by economic value will conclude that caring for the elderly is not productive. It is an utterly false argument to say that we should care for the elderly because of their long and valued service to their country, many of whom fought for our freedom. That is a utilitarian argument. What then is the value of those who seem to have achieved very little in their life? No! In old age there are the creaking joints, the aching muscles, the breathlessness, embarrassing problems, deafness, poor eyesight. Or we become mentally confused, forgetful and slow. And our longstanding friends and loved ones fall off as leaves from the trees in autumn. But the dignity of old age is as great as the value of a new-born child. The elderly deserve dignity simply because they have the value and dignity of a human being. Of course there is often a loss of dignity with the paraphernalia of old age, as with any serious illness. We must demonstrate the value of life in a society that, for all its pretence, has steadily devalued life. We have to show that we are guardians of that dignity. Psalm 92.14: ‘The righteous… will still bear fruit in old age’. * John Wesley claimed he was far more able to preach at 73 than when he was 23. * John Newton, in spite of claiming that he was ‘packed and sealed and ready for the post’, was still preaching at 80. *At 84 and 82 respectively, Peggy and Christine Smith, one blind and the other crippled with arthritis, prayed for revival on the Isle of Lewis in the 1940s — and it came. We must continually work, not merely at maintenance mode for older people, but for the provision of positive activity and fulfilment for those who are capable of much more than sitting and dreaming all day. What a powerhouse of prayer and positive interest in the Lord’s work our older people could be. C.S. Lewis referred to heaven with the simple expression: ‘Term time is over, the holidays have begun’, and, meanwhile, this is term time, and we all have a lot to do — even in older age. When the original Bible documents first emerged, they captured exactly what God wanted to say in the language and idiom of ordinary people. There was no friction between hearing God’s Word the way it was written and understanding it the way it was meant. The original audience experienced a unique fusion of these two ingredients. Readers of the Bible today, however, no longer experience this fusion. The passage of two thousand years has turned the Greek and Hebrew of Bible times from living languages into historical artefacts that only scholars can understand. If we had the original documents in our hands today, they would still represent exactly what God wanted to say. But the vast majority of people would no longer be able to understand them. In 1611, the King James Version (KJV) of the Bible brought English readers back as close to that original fusion as possible. As with all translations, the KJV involved some loss of transparency to the original documents. And yet that small loss in transparency was more than made up for by a tremendous gain in comprehensibility: People could hear God’s Word in their own language! The result propelled the body of Christ into a new era of personal transformation and global reformation. But, just like the original documents, the KJV was unable to escape the effects of time. The English language changed. The “thys” and “thous” and “whosoevers” of the KJV became less and less the language of everyday people and more and more the language of a bygone age. The KJV’s ability to present God’s Word the way it was written, while at the same time allowing readers to understand it the way it was meant, began to decline. During the last century, a number of new English Bible translations emerged to compensate for the changes in language since the translation of the KJV. Some translations placed a high priority on reading God’s Word the way it was written — giving the modern English reader the opportunity to see much of the form and structure of the original documents. Other translations place a high priority on understanding God’s Word the way it was meant — helping the modern English reader to grasp the content of the Bible in their own words and their own idioms. The Committee on Bible Translation (CBT) was formed in 1965 to create a modern English Bible translation from the oldest and best-available biblical manuscripts. The committee represented, and still does represent, the very best in evangelical biblical scholarship with its members drawn from various denominations and from some of the finest academic institutions in the world. 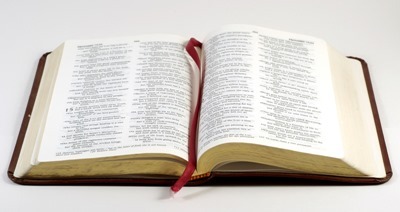 The NIV is founded on the belief that if reading God’s Word the way it was written and understanding it the way it was meant were the hallmarks of the original reading experience, then accuracy in translation demands that neither one of these two criteria be prioritised above the other. 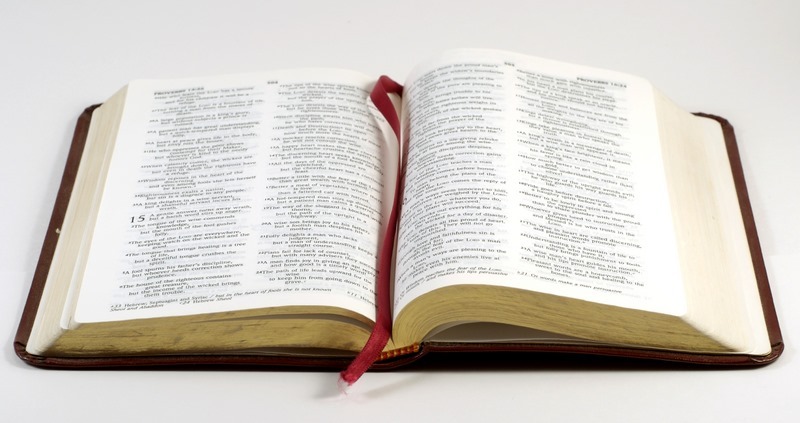 First published from 1973, the NIV rapidly became the world’s most read modern English Bible with more than 400 million copies in print. The NIV was designed from the very start with a built-in mechanism to defy the attrition of time. So the NIV translation team continued to meet, year after year, reviewing developments in biblical scholarship and changes in English usage — revising the translation to ensure that it continues to offer its readers an experience that mirrors that of the original audience, and periodically releasing those revisions in updated editions of the text. A second major NIV update was issued in 1984. In 2011, the CBT completed their work to further a third major update. It is this edition that you will hear read and see projected at GBC. The 1984 version of the NIV, and the 2002 version of the TNIV are now being discontinued in print in favour of the 2011 text. A fuller explanation from the NIV translators can be found here. RSS is the way that millions of web users around the world keep track of their favourite websites. RSS provides you with a way to get relevant and up to date information sent to you for you to read in your own time. It saves you time and helps you to get the information you want quickly after it was published. It’s like subscribing to a magazine that is delivered to you periodically but instead of it coming in your physical mail box, it is delivered to your ‘RSS Reader’ every time your favourite website updates. The first thing you’ll want to do if you’re getting into reading sites via RSS is to get yourself an RSS Feed Reader. There are many feed readers going around with a variety of approaches and features – however a good place to start is with a couple of free and easy to use web based ones like Google Reader. Or you can your your email client, like Outlook, Windows Live Mail or Thunderbird. Here’s an example of how to use Windows Live Mail. Feed readers work a little like email. As you subscribe to feeds you’ll see that unread entries from the sites you’re tracking will be marked as bold. As you click on them you’ll see the latest update and can read it in the feed reader. You are given the option to click through to the actual site or move onto the next unread item – marking the last one as ‘read’. Over the last few years you may have noticed a lot of little buttons and widgets appearing on your favourite sites and blogs. Little orange buttons, ‘counters’ with how many ‘readers a blog has, links called RSS, XML, ATOM and many more. Any time you see any of these buttons or anything like them it means that the site you are viewing almost certainly has a feed that you can subscribe to. In most cases it’s as simple as either copying and pasting the link associated with the button into your RSS Reader or clicking the button and following the instructions to subscribe using the feed reader of your choice. You can usually tell if a site has an RSS feed by looking for the orange icon. To quickly and easily subscribe by clicking these icons you’ll want to set up your browser to do it with your feed reader of choice as by default they will probably subscribe you using the in-browser reader. You can do this by going to the ‘preferences’ to your browser and choosing ‘Google Reader’ as your feed reader. At GBC, we know that not everyone is into the RSS thing so at the top right-hand corner of our site, there is email icon. This will send you an email when a new page or post is published. https://godmanchesterbaptist.org/wp-content/uploads/2017/07/web-logo-name.png 0 0 John Smith https://godmanchesterbaptist.org/wp-content/uploads/2017/07/web-logo-name.png John Smith2011-03-01 10:52:382013-01-28 16:22:16What is RSS? However, in every area of discipleship we need reminders and encouragement. Giving is basic discipleship. Giving is not about “doing ones duty.” Giving is a deeply personal indicator of spiritual maturity as well as our love for God. As Jesus said, our “treasure” is an indication of our “heart”. Giving is a relational issue with God. Just as we decide on what we spend on an appliance or how much we will put in a savings account, we also have to decide how much money we will give to God’s work. Even to give nothing is a decision. Giving is not a burden. Paul reminders us that God loves a cheerful giver. Giving is a relational decision. In it, we establish an agreement with God. In it, we affirm how much we value our relationship with God. It is simply a matter of thinking through how God wants us to allocate his money. As we learn to trust God through giving, we live more confidently on what is left because we know that God is taking care of that. The ultimate outcome is that giving grows our sense of intimacy with God. This passage tells us the story of God providing for a widow. After a 3½ year drought, God sent Elijah to this widow living in financial fear. As far as she knew, the starvation process would begin after the next meal. There was nothing to eat anywhere. Yet she fed Elijah. And God then did the miracle! For this woman of faith who gave first, there was bread for today. God gave her and her son their daily bread. Does God still do that? Certainly. That’s the way God is. He cares about us personally and reaches out to us relationally when we are devoted to Him. “For the eyes of the Lord range throughout the earth to strengthen those whose hearts are fully committed to him..” (2 Chron 16:9) It should be no surprise to us that God uses the area of financial giving to test our heart and then to draw us close as we trust and obey Him. · She was a believer in the true God. · She had serious financial needs herself. · She was asked to give away a big part of the little she had. · She heard God’s promise to provide for her if she gave. · She believed God’s promise and first gave obediently to God. · God show His care by providing for her needs miraculously! Jesus and His disciples were at the temple in Jerusalem sitting where people put in offerings for the temple treasury. It was Passover time when people who came to the temple would often give extra gifts. This wasn’t the tithe. It was not obligation. These were special gifts that were supposed to be given as personal worship. But of course worship is not proven by a gift or anything external. Worship is what goes on in the heart. Jesus doesn’t say anything against the wealthy people who gave at the temple. But Jesus noticed a particular widow whose heart was genuinely committed to giving as worship. And Jesus makes the divine observation that this woman gave more than the wealthy! We are led to believe she gave the smallest of all imaginable gifts. It was two tiny coins. A 1/16th of a labourers daily wage. A direct comparison is possible: it was worth a half hour at the minimum wage – £3. That’s quite a bit more that we often think! So on one hand what made her gift remarkable was apparently how small it was – but not that small. And on the other hand, her gift was remarkable to Jesus because of how large it was! What we know is that she emptied her bank account that day. She had every reason not to give. But she wanted to worship and thus, in the eyes of Jesus, she gave more than those who gave large amounts out of their wealth. The gifts given by others were expendable income. Her gift was essential income. God always sees the sacrifice of giving. That’s where the worship of giving really happens. It costs. King David once said, I will not sacrifice a burnt offering that costs me nothing (1 Chron 21:24 ). We don’t even know that Jesus spoke to her, he simply pointed her out because he recognised the sincerity of her heart. This woman has stood through the ages as a model for giving, not simply because her giving ratio exceeded the gifts of others, but because that sacrifice indicated her deep love for God. Love for God is the goal. Sacrificial giving is a means of establishing and expressing that closeness with him. · We are never too poor to give. · Giving generously means trusting God for the future. · God is honoured by our degree of sacrifice, not the amount. · Giving is worship that expresses our relationship to God. These stories are not about God’s reward for giving. Giving is not about us; giving is about our relationship to God. What Moses was saying in Deuteronomy 26:8-10 is that God gave them their land and God gave them their blessings. His point is that our gifts are really just recognition of who God is. By giving, the Israelites were saying back to God, You have placed me in charge temporarily of this little bit of land. I am bringing my gift to you not because I’m big or wonderful, but because you are. That’s the attitude God is seeking in us. God owns the earth (Ps. 24:1)! So what posture should a person have as they bring their gift? Bow down. Bow down! God is great. The Israelite had in his hand a tiny portion of a single crop, but it served to acknowledge the greatness of the God who made all the crops throughout the world in all ages. Our gift might be big to us because it’s a sacrifice, but to God it’s big only because it acknowledges His infinite ownership. This little bit I call “giving” is actually just my way of saying, You own it all. Giving is literally worship. Proverbs 3:9 says, “Honour the LORD with your wealth, with the firstfruits of all your crops." The Hebrew word “honour” means to “glorify” or to acknowledge the importance of something. Its root meaning is that something is heavy or weighty and thus significant or important. When applied to God, honouring Him means that we ascribe to him the significance that He deserves as God. When we bring our “first fruits” – our offering to our church – we write that cheque, authorise that bank transfer or place money in the bag, to express how important God is. He is the “heavyweight” in my life. It is my worship. Do we really trust God? How do we develop trust in God? Giving is actually one of God’s key training grounds to produce a trust connection between us and Lord. Notice the test. God was probing and correcting the issue of their trust in him. Giving really is about trusting God. Because, like the widows, giving means that we have less. It’s simple maths. 10-1=9. I have less if I tithe. Trust is always based on a relationship. Do we trust God? God wants us to know and trust him so that even when we can’t see for sure what he is doing, we don’t doubt him. As we give back to God in sacrificial worship, we are telling God that we really do trust him. As a result He is honoured and we are come to know the peace of trusting God with our financial situation.